Workers comp rates to increase, but by how much? TALLAHASSEE, Fla. (WCTV) -- The Florida Supreme Court declared the state's scheme for handling injured workers unconstitutional in three cases earlier this year. 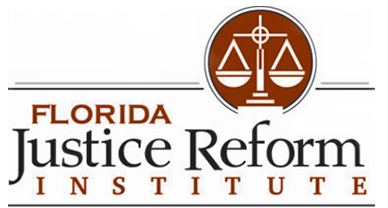 The result is a potential twenty percent increase in Workers Comp insurance for Florida businesses. In 2003, Florida had some of the highest rates for the insurance business to protect injured workers. Changes that year cut the cost by 60 percent, but in three 2016 cases, the Florida Supreme Court found the savings came at the expense of injured workers. The court found that limiting attorney's fees, to sometimes less than $2 per hour, deprived people from hiring a lawyer and getting the benefits they deserve. In a St. Petersburg case, it found that limiting benefits to 104 weeks was too short. A hearing on what to do next brought out every major industry in the state. Most blamed lawyers, as they did in 2003, for the problem. "It advantages trial lawyers and disadvantages injured workers," Mark Wilson, Florida Chamber President said at the hearing. A state-sanctioned, industry-run commission is recommending a 19.6 percent increase. But Dr. Michael Helvacian, an expert hired by a pro business anti lawyer group says the rates need to increase at least 35 percent to be legal, but if they do, consequences will be dire. “The demand for employees will be dampened because the costs, employers cost of doing business will be higher” says Helvacian. The higher the rate hike after this courts ruling, the more likely big business can force the legislature to do something. Many on both sides believe the rate hike is the beginning of what will be the biggest issue for lawmakers next spring. Rich Templin of the Florida AFL-CIO says the union just wants fair legislation. "What we want is for the system to provide medical care and decent benefits for the workers at the time of their injury, when this happens," Templin said. The council is recommending higher rates for everyone as early as October. One expert says the higher rates will slow job creation by one hundred six thousand each year. The decision is the first major rate case that will be made by the state’s new Insurance Commissioner. The higher rates would apply not only to new policies, but existing ones as well.